Kim is a Clinical Nurse Educator in the main Surgical Suite, at the University of Alberta Hospital, and a Sessional Faculty/Instructor in the Perioperative Program at MacEwan University in Edmonton. She has worked in all areas of Perioperative nursing over her 32 nursing career. Kim received and continues to maintain her Canadian Nurse's Perioperative Certification and sits as a current member of the CNA Perioperative Examination committee. She has spent many years being involved in all aspects of ORNAC - sitting on her regional, provincial and the national ORNAC board. She represented ORNAC on the International Federation of Perioperative Nurse's (IFPN) board, 2002-2003. As the chairperson for the ORNAC Editorial Advisory committee, she was involved in organizing the transition from the old CORNJ journal to the new journal - through Clockwork Communications, in 2002. She has worked on many provincial OR conferences in a variety of roles including chairing two of them. She co-chaired the ORNAC national conference in Banff in 2001, was the Co-chair for the ORNAC Conference in Edmonton in 2015 and is the National Pillar Chair for this conference in Niagara in 2017. Cindy is a certified perioperative nurse who graduated from the Dalhousie School of Nursing, Halifax and has over 25 years perioperative experience. Since graduating, she has held various roles including staff nurse on a surgical unit, operating room staff, charge relief, and instructor for the NS provincial perioperative program. She has been the clinical educator for the operating rooms at Victoria General Hospital in Halifax for over 14 years. As clinical educator, Cindy acts as a resource, facilitator, teacher, and role model for the perioperative nurses as well as an advocate for patient safety through application of the ORNAC Standards. Cindy is returning to the conference committee for her second term with program/syllabus. Currently she is the President of the Operating Room Nurses Association of Nova Scotia (ORNANS). 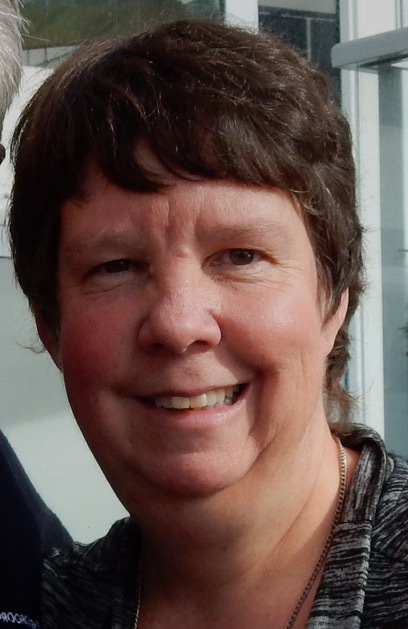 Barbara has been a staff nurse at the Peter Lougheed centre in Calgary for 18 years, with a short detour of 2 years (2014 – 2016) in Ottawa working at the Queensway Carlton Hospital and the Civic campus of The Ottawa Hospital. She has Perioperative Nursing experience in all surgical specialties and has been Clinical Leader and Clinical Nurse Educator. She served as ORNAA president from 2010 – 2012, ORNAC journal editorial committee chair from 2009 – 2015, ORNAC board member representing Alberta from 2009 – 2012 and co-chair of the 2015 ORNAC national conference. Barbara was the first nationally elected president elect in 2015. She has worked in several OR environments in Zimbabwe, South Africa, and the UK, bringing to the ORNAC Board a global perspective on Perioperative Nursing practice. I graduated from the University Of Maine School Of Nursing with an Associate Degree in Nursing in 1978, and received my BSN from the University of Southern Maine in 1988. I have worked and taught in diverse perioperative settings since 1979, including Maine, PEI, Bermuda, and BC. (There has to be an ocean nearby!) I am currently working as a Surgical Clinical Reviewer for the Surgical Quality Program of Island Health. David Haley is a medical device executive with eighteen years of industry experience, including over six years in a senior leadership role managing, multiple cross-functional teams. Currently, David is the Director of Marketing and Business Development at Trudell Medical Marketing Limited one of Canada’s largest specialty distribution companies. Previous to this role David was a business unit manager at Medtronic Canada. David also worked in both a sales and marketing role for eight years at Stryker Canada. David has a passion for continuous learning, acquiring new skills and working in the medical device industry. I have extensive experience in the role as Executive Director and Conference Manager for several medical, educational and legal not-for-profit Associations nationally and internationally. I have been involved with Not-for-Profits and Charities for over 20 years with a large portion of that activity directed towards member recruitment and retention, by-laws and governance, policies and guidelines, advocacy, financial management and communication. I am fluent in both English and French (born and raised in a French community in the Ottawa Valley and have worked in France as an interpreter) and I have functional Spanish language skills. I am honoured and ready to serve as the next Executive Director of ORNAC and look forward to working with all of you as we take the Association to the next level. It is a privilege to be associated with an organization that, for over 30 years, has been the national voice for Perioperative Registered Nurses across Canada. With an excellent Board of Directors that is firmly committed to ORNAC’s mission, a highly professional and dedicated staff, an array of outstanding organizations with whom we cooperate, and our affiliation with special interest groups, ORNAC is well-positioned to face the challenges that lie ahead.